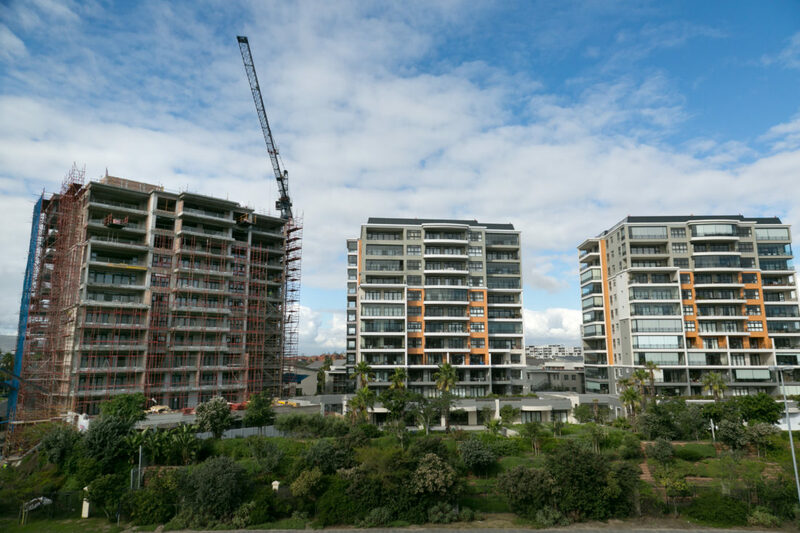 The Oasis Luxury Retirement Resort in Century City has proved to be a runaway success with all 375 apartments in the six high rise blocks having been sold six months ahead of the last block being completed. Colin Green of Rabie, which has been developing Oasis in a joint venture with a Harries Projects consortium, said there was no doubt that much of Oasis’ success was due to the fact that it falls within the Century City mixed use development offering residents almost every conceivable amenity right on their doorstep. These facilities include a 25m indoor heated pool where regular water aerobics classes are given by a qualified teacher, a massage room, sauna, steam room, a gym, a library, lounge areas, a restaurant, bar, a bridge room and billiard room. In addition, there are a number of other facilities for residents outside the Clubhouse including a large, multi-function venue with a big screen TV and coffee bar and large undercover patio overlooking a scenic lake, an arts studio where residents can paint as well as another well-appointed lounge where residents can relax. A range of activities and functions to cater for different interest groups are also held regularly and regular outings to wine farms, the theatre and the like are laid on. The resort is set in beautifully landscaped gardens which also include a flowing stream and water features and even a vegetable garden where residents can grow their own vegetables and herbs. Peace of mind for residents is also provided by the Oasis Care Centre which offers hotel-style assisted living apartments, frail care and a specialised Alzheimer’s/Dementia unit as well as physical rehabilitation for those in need. Green said due to the huge success of Oasis and the continued demand for retirement homes in Century City, they were exploring including a retirement product in the redevelopment of the Ratanga site which they hoped to bring to the market late 2018 early 2019. For resales and rentals contact the Sales Office on 021 250 0592 or Cindy (082 495 7168) or Linda (082 785 6160) or Lorenda (083 2704 755).